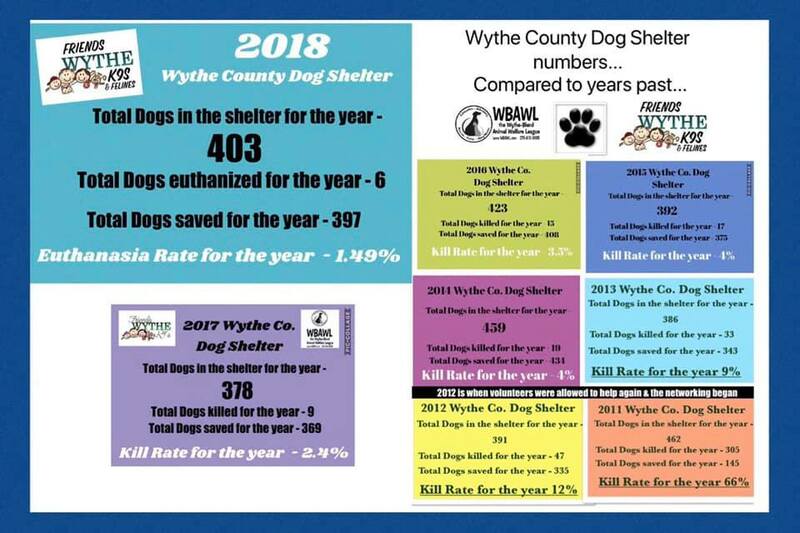 Friends WYTHE K9s & Felines is a volunteer group that works with the Wythe County Dog Shelter and the Wytheville Cat Shelter to help find owners of lost/stray dogs & cats or find rescues or adopters when owners are not found. Our goal is to help reduce the number of lives lost in our local shelters. We raise funds to help with flea/tick treatments, vaccinations, vetting, and any transport or boarding fees that may be needed when getting the animals to rescues. FRIENDS volunteers visit the shelters daily to give the animals treats, love and attention. Our Barn Cat Program places homeless cats with families who are willing to let the cats live in their barn. 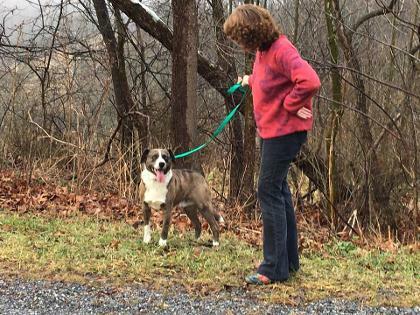 WBAWL covers the cost of vetting and spay/neutering. Call 276-613-3695 or contact us for more information.